Phoenix Global Mining (LSE:PGM) dipped to 30.2p this morning despite recent exploration work indicating a ‘district style’ opportunity at its flagship Empire copper mine in the US. Oriole Resources (LSE:ORR) is currently sitting at 0.45p after confirming the presence of significant gold anomalism at the Madina Bafé prospect on its Dalafin project in Senegal last week. 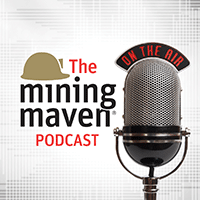 With the results boosting Madina Bafé’s position as a potential satellite deposit for a nearby gold deposit called Boto, chief executive Tim Livesey talks us through the company’s plans for the project.